Oh Slovenia, I have fallen in love with you. If you have been following my Instagram you know that I can’t get over the country’s beauty. 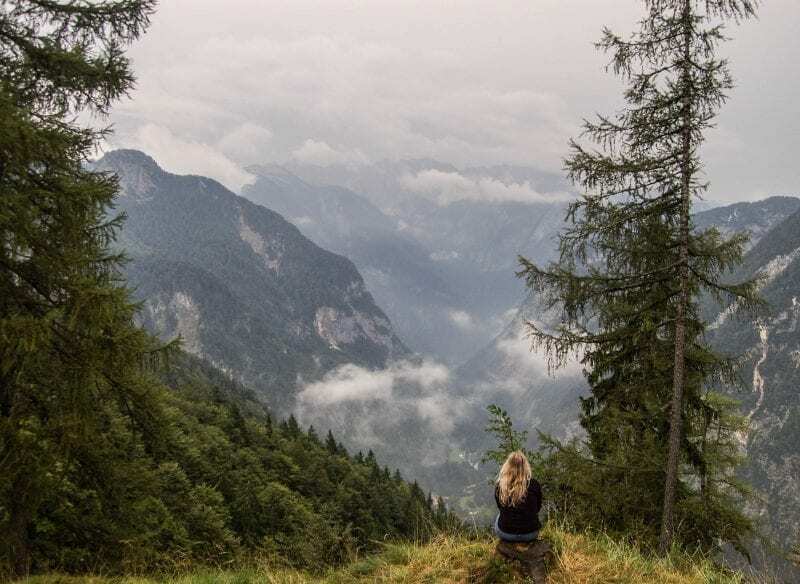 From rolling mountains to lush green landscapes and beautiful waterfalls, I am claiming that Slovenia is the next country to go to if you’re looking for natural beauty. Coming from New Zealand that’s a pretty big claim! I wanted to do this list to show you 14 things to do in Slovenia that are not only naturally beautiful but won’t cost you a penny! 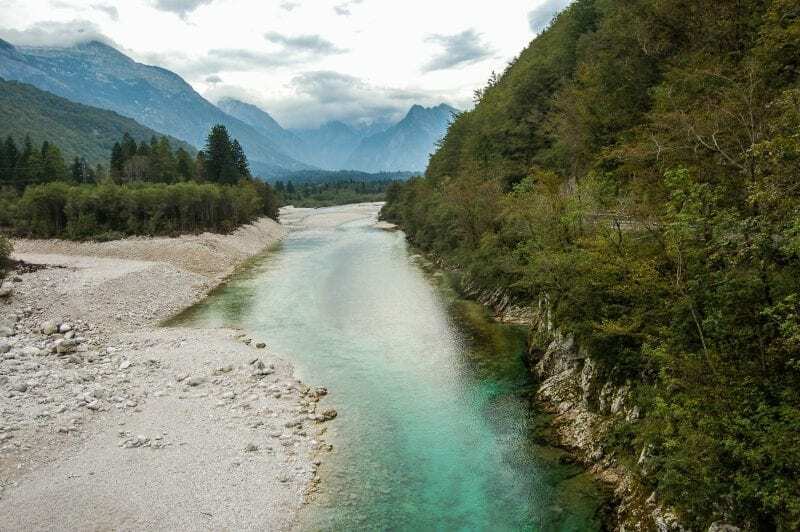 The Soca River is one of the best things to do in Slovenia for sure. 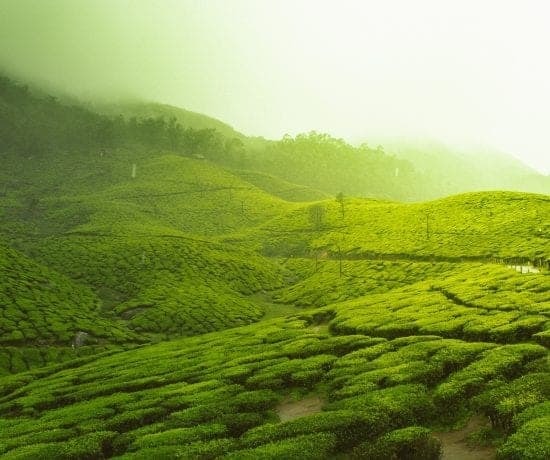 Its emerald green colour will make you want to take more photos that you could ever imagine. 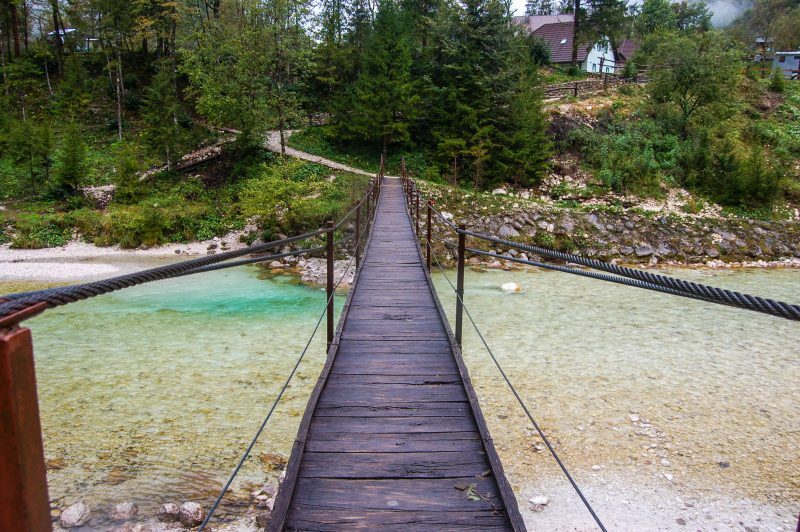 You can do a 25km walk that takes you from the Triglav National Park towards to the source of the river in Bovec. It approximately will take you 5 hours to complete. 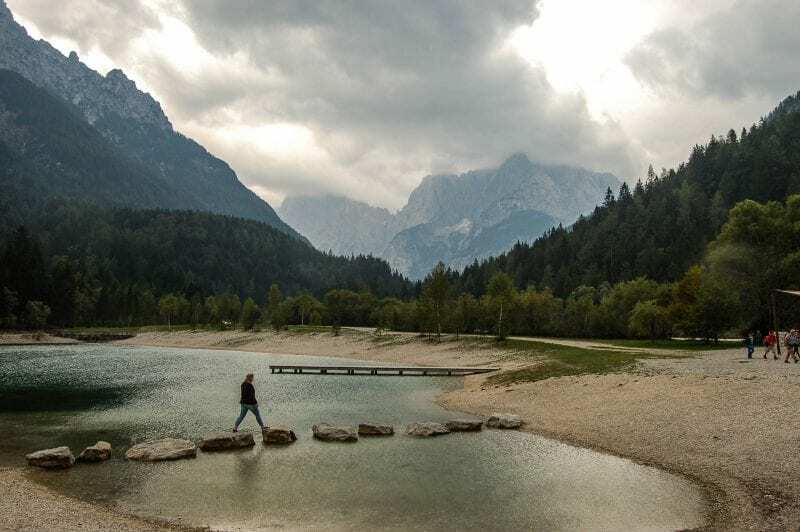 Unfortunately, I didn’t get a chance to do this walk as it was miserable and we ran out of time but it’s one of the top things to do in Slovenia! One of Slovenia’s gems and also the busiest attractions in the country is Lake Bled and for a good reason. It’s absolutely beautiful! You can opt to hire a row boat and row around the lake or you can walk around, which we did and I can highly recommend. Lake Bled is also famous for its cream cake also known as Blejska kremna rezin. Apparently, the best place to get it is at the Hotel Park restaurant and café! Although it’s quite touristy at Lake Bled, it’s 100% worth coming here because the views will take your breath away. This is a stop not be missed! 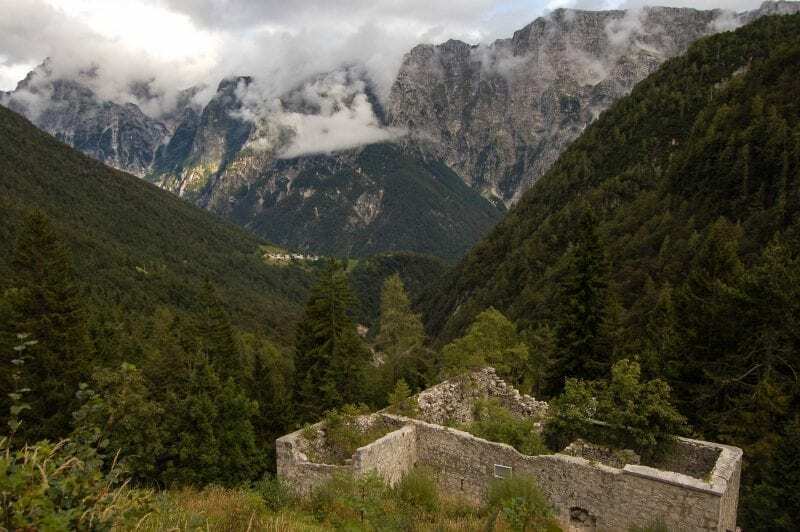 You will drive past this place on the way to the Triglav National Park if you’re driving the Vršič Pass. The view is really phenomenal as you can see from the pictures. Again, it was quite cloudy and then it started to pour down but we still managed to grab our photos and run back to the car just in time! 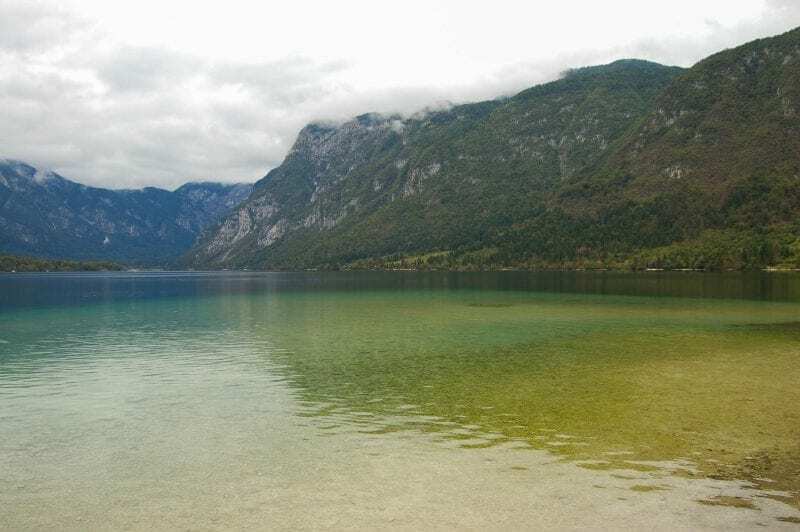 If Bled is too busy for you then take a trip to Lake Bohijni instead. The different colours of the lake are really pretty and there are even sun loungers for you to relax in. Lake Bohijni is only a 35-minute drive from Bled so if you can squeeze a trip to this gorgeous place then do because it’s totally worth it. We stayed in a very rustic (old and a little run down) homestay in the tiny village named Trenta. It was such a cute little place which is surrounded by the Julian Alps. 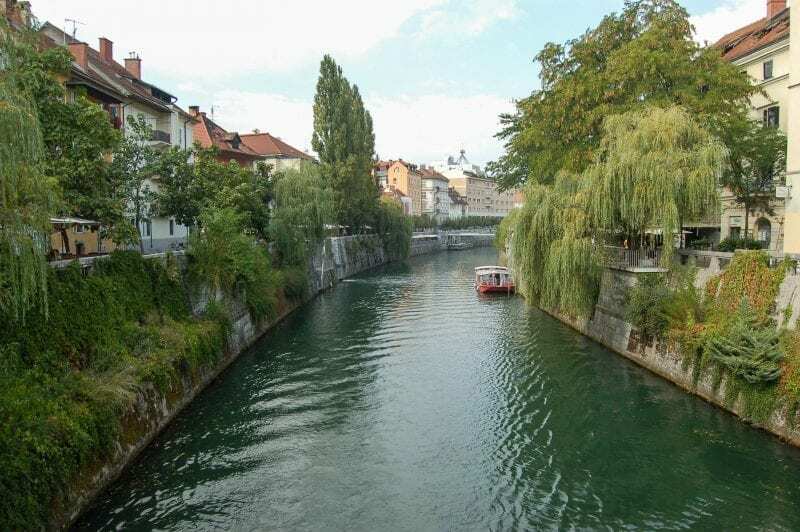 There are only a couple of restaurants here but there is a really REALLY good restaurant called Gostilna Metoja, which is only a few minutes’ drive away from Trenta. It was really hearty home-cooked food and wine was under €2 a glass so I was happy! I would highly suggest hiring a car if you’re staying in the National Park because it would be impossible to get around without one. In the summer there are buses but to be honest, it would be a real pain to time you’re exploring with them and they stop before the end of summer too. One of the most beautiful waterfalls in Slovenia is the Virje waterfall. It’s not located in the National Park but rather near a town called Bovec which I talk about at number #8. Beware, the water is freezing. I could not feel my foot afterwards and feared I may have had frostbite after a quick dunk. It’s a photographer’s heaven. The waterfall is 12 metres high and 20 metres wide, which is met by a pool of the most vibrant green you may have ever seen! This is a drive not to be missed! It would probably have to be one of the funniest/scariest/entertaining drives in the world. Race car drivers would definitely love this one! 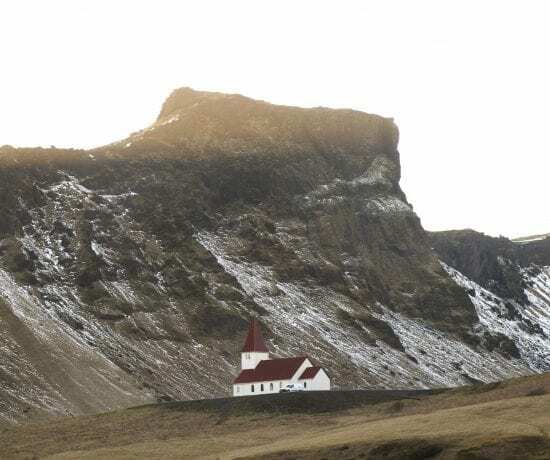 There are actually plenty of viewpoints and stopovers I suggest you have a look at, one being the Ruska Cesta (Russian Church) which was built by slaves who made the majority of the pass. The Statue of Julius Kugy is also a really good photo opportunity! Julius was a Slovenian writer who wrote about his adventures up in the Alps. He essentially discovered 50 new routes and was famous for his mountaineering. He became a sort of Slovenian legend! 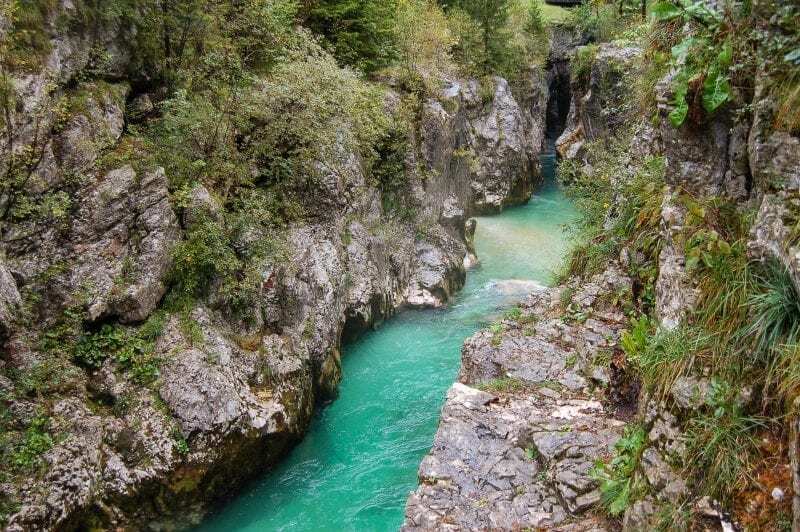 Bovec is highly popular with fitness enthusiasts and adventure lovers. There is a marathon and something called the Red Bull 400, which is a vertical run (literally). It’s not my cup of tea but for those who love a challenge you should check it out. People come from all over the world to participate. 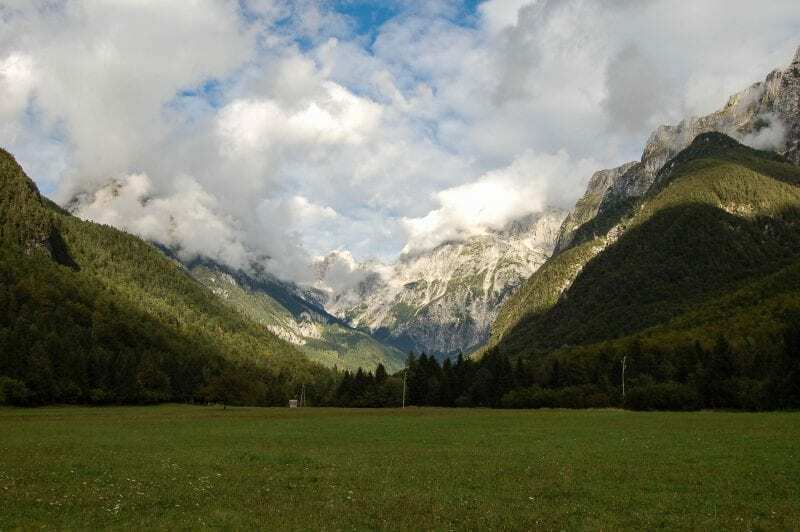 Bovec is very set up for tourists so you will find a lot more shops and restaurants than in the National Park. It’s a bit more happening and could be a good option for accommodation as there are lots of hotels and hostels. 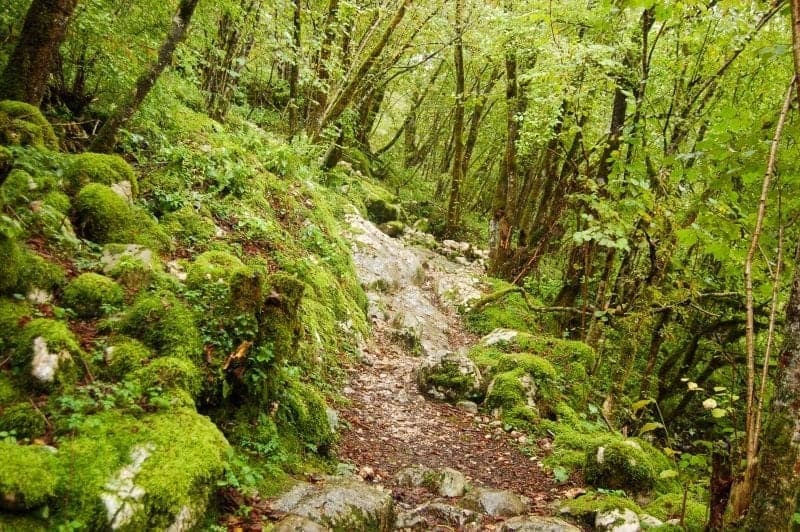 Plus, it’s a good point to start lots of walking routes that go along the Soca River and biking is very popular too. We hired a bike for a few hours and tried to stick to a route (we got lost many times) but it was a new way of seeing the landscape and despite all the blood, sweat and tears I really enjoyed it. 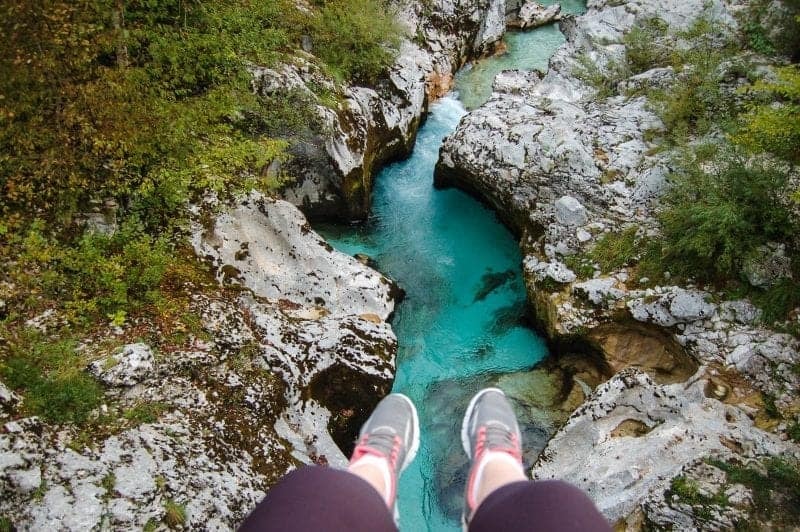 Bovec is a hub for adventure activities so you can do many things from here including kayaking, white-water rafting, zip lining, hiking, mountain biking, paragliding, caving and more! I have never seen something like the Soca Gorge. The colour of the water and the powerfulness of the current really makes the gorge impressive. It’s located in the National Park, only about a 10-15 minute drive from Trenta. The gorge is 15 metres deep and looks sometimes terrifying. I would definitely not want to jump in there when it’s been raining for a couple of days but this is a really pretty natural attraction to see. This is another attraction which is on the same road as the Soca Gorge. I really loved this place even in the rain because the colour of the forest was this bright green, like you would see in photos. It doesn’t need an Instagram filter! Even though it was pouring with rain and the waterfalls weren’t as graceful as they probably were in the summer, this was a really beautiful and peaceful place to stopover in. 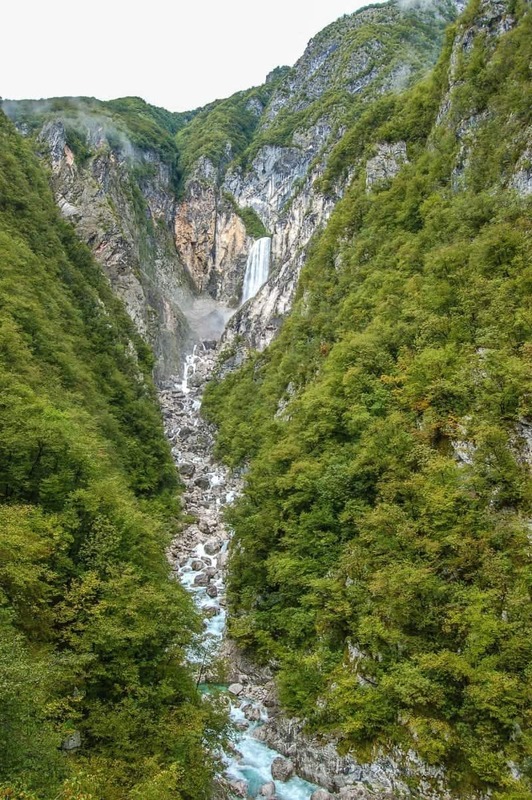 The Boka waterfall is the highest waterfall in the country and one of the most impressive in Europe. It’s a whopping 144 meters high. It was quite popular with the tourists but it’s still worth seeing it. There is a viewing platform where you walk for about 20 minutes (mostly uphill) but you get a great view of the waterfall in the distance and below you can see all the kayakers trying to tackle the river below. Within the National Park is a road that leads to the Italian Border. 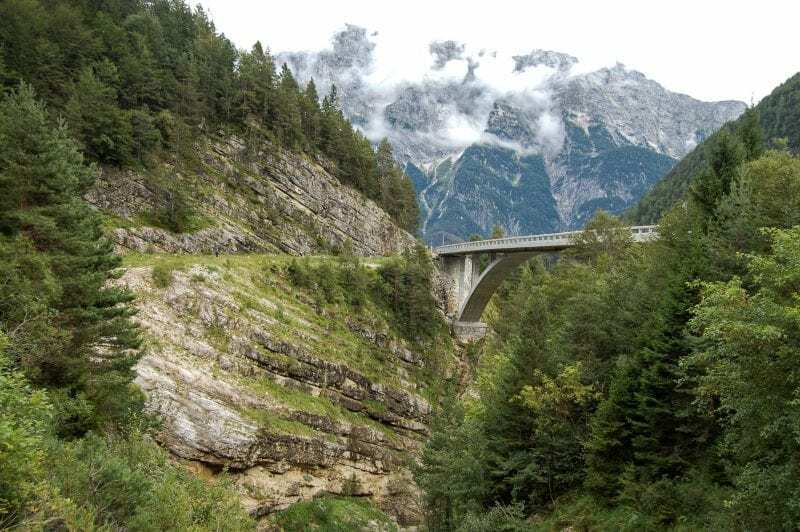 If you have a free afternoon I highly recommend you drive right up to the border because on the way is a pretty spectacular bridge called Napoleon bridge and also a Fortress which I talk about below. If you are a photographer you may find this location of particular interest. I think drone flyers would have a fantastic time here. The Fortress is on the same road at Napoleons Bridge. 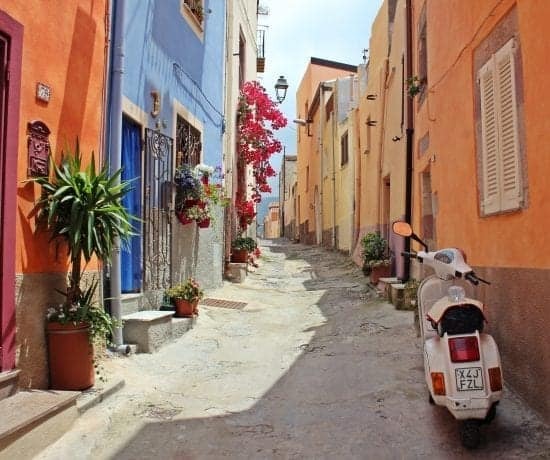 It’s about a 10-minute drive from the border of Italy. It’s totally abandoned which is a real shame. I didn’t see this place on any guidebooks or Google maps. We just simply drove past it and decided to go in and have a look for ourselves. It’s actually much bigger than it looks as most of it is underground which you cannot get into as those are the graves of those who lost their lives in the battle. On the opposite side of the road it continues on too and on the edge of the road is a monument to remember those who died. The Kozjak waterfall is quite popular but I was slightly disappointed. Maybe it was a mix of the horrible weather but in pictures, it looked a lot different. I would love to go back on a summer’s day and see the difference. 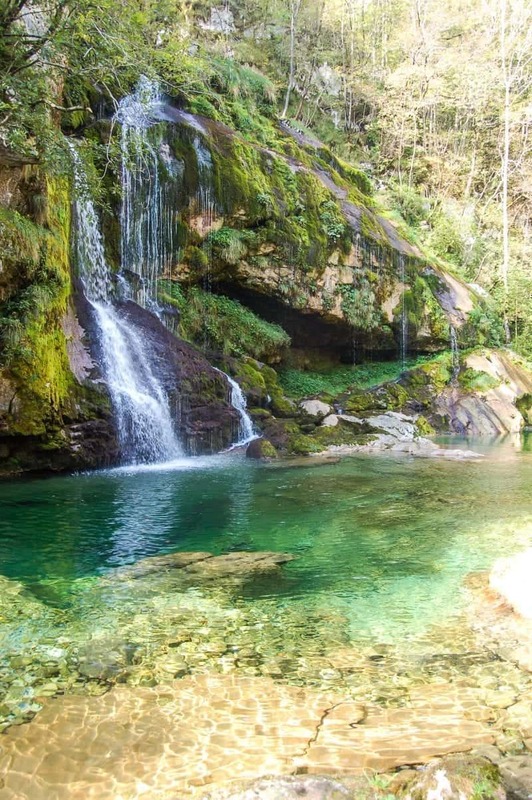 Because it has been named one of the most beautiful waterfalls in Slovenia. I did want to recommend this though as people seems to highly advise coming here. If it was the right conditions then I can see it’s a lovely place. The walk is really nice and before you veer to the right to continue towards the waterfall you can turn left and do a looping walk. You can also see the remains of World War 1 bunkers. If you’re in the area it’s worth stopping over for! Slovenia is a very affordable country. A meal can cost €3-€10. We had some fantastic meals here. Most of the time we had two-course meals with drinks because it was so cheap! Flying to and from Slovenia is also very inexpensive. 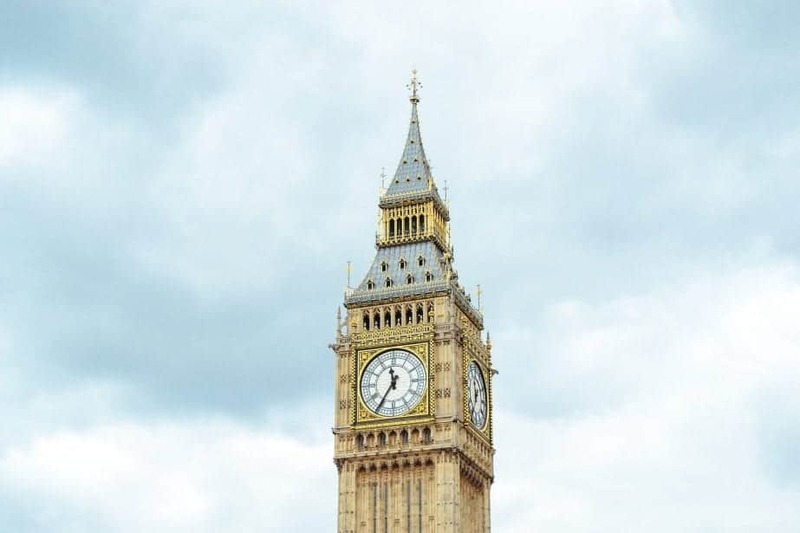 A flight from London cost us £30/40 and I know you can get cheaper if you book in advantage. Easy jet is who we flew with and although the service is pretty rubbish if you’re on a budget it’s the way to go! Zeppelin Hostel – Modern, trendy and close to town! Vila Veselova – It has a homely feel with free breakfast included too. 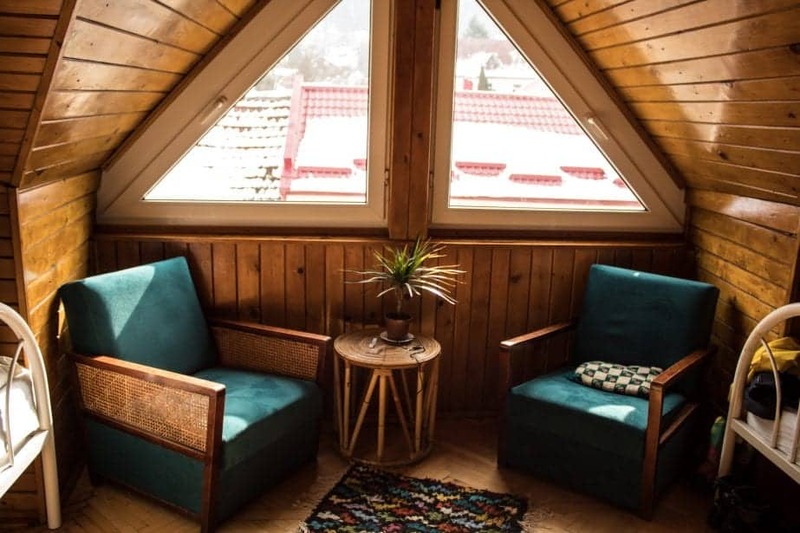 Jazz Hostel and Apartments – Has won many awards such a best hostel in Slovenia! 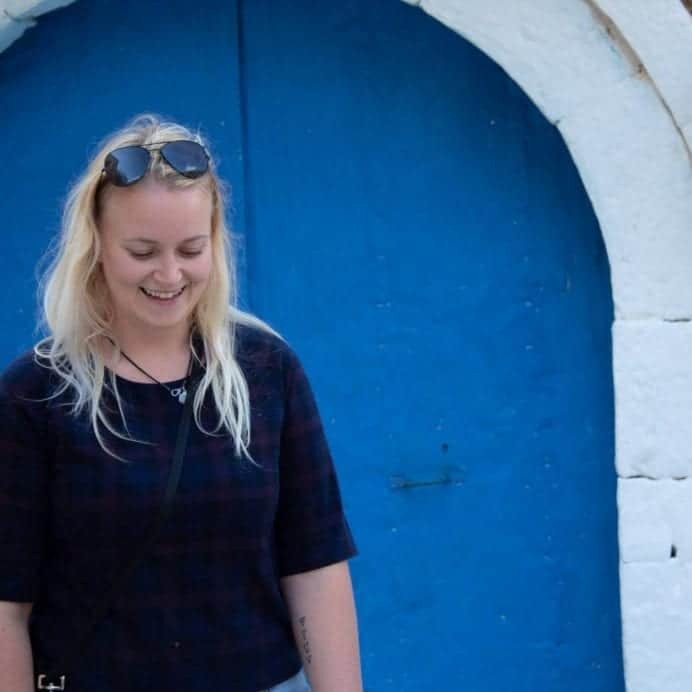 Hosteller – Located in an impressive family style house and only 900 metres from the lake. Hostel Mangart Bovec – Includes buffet breakfast and towels. Hostel Soca Rocks – Centre of town and you can book adventure activities directly through them. Accommodation Zorc – Very basic and old-fashioned but it’s cheap and in centre of the village (this is where we stayed in Trenta). It’s time to book your trip to Slovenia now! Don’t forget to read about my experience at the Big Berry resort in the South-East of Slovenia. You can actually swim to Croatia from there, I’m not kidding! Let me know in the comments if you are planning to go to Slovenia. Thank you! It’s hard not to take great photos in Slovenia. Oh wow, how gorgeous. Your pictures are simply stunning!! I’m blown away by the Boka waterfalls and can only imagine what’s it’s like to see with my own eyes. 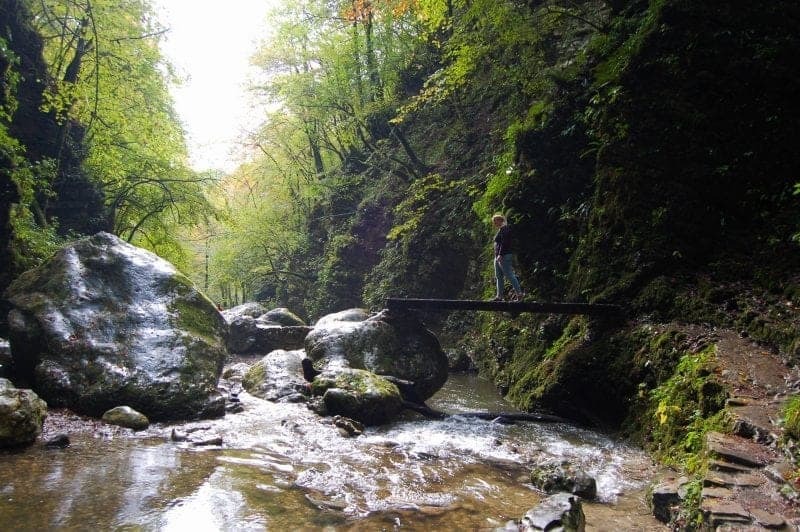 These are great and inspirational reasons to add Slovenia to my travel plans. Thanks for sharing. I was planning on going to Slovenia next summer, but this post definitely settles it. It looks so incredible. 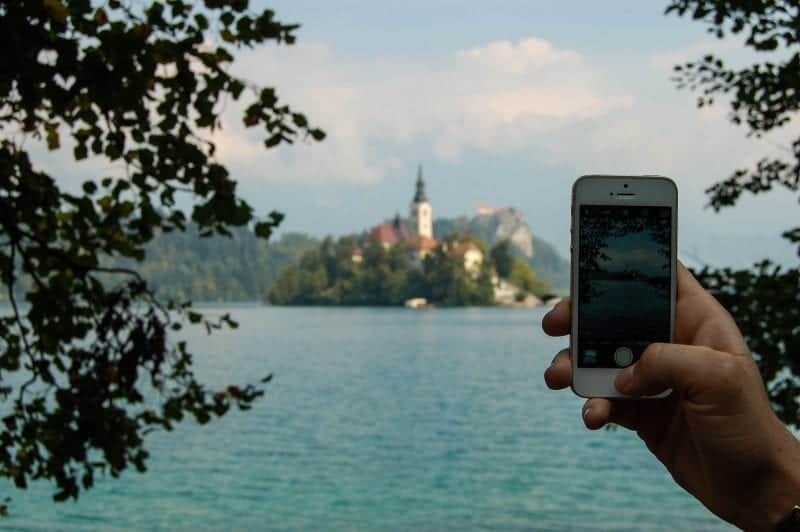 Oh man photos of Lake Bled have already moved Slovenia up on my list, but I hardly ever see other photos. These are all so stunning! I feel like I need a good few weeks and a car to enjoy every inch of this country. Can’t believe they’re all free too! There is so much to see in Slovenia, it’s incredible! Oh, so many wonderful places! Slovenia is a true hidden gem, I got convinced this summer. :)))) I haven’t heard of some of these places, but can’t wait to visit them next year! What a stunning destination. Slovenia has been on my list for years and you’ve just bumped it up a few notches! I love all of the free natural hikes and lake visits you’ve noted. Pinning this for future reference! I have seen many photos on IG or read many posts about the country last few months. I haven’t been there, but I assume it is getting popular and there is a logical reason behind that, which is “the country has a lot to offer”. I really hope to visit it in 2017. Yeah, Slovenia has certainly gained some publicity over the last year because it’s just so damn beautiful! Wow! I didn’t know a lot about Slovenia and it’s great to know there are so many beautiful places to explore. I think Virje waterfall would be on the top of my list. Hope to make it there someday. Virje waterfall should definitely be at the top of your list! Yes, we are planning to go there coming summer and I’ve bookmarked this post. I couldn’t figure out the name of the place where Big Berry is situated. Any more posts you suggest to read that you’ve written? Will come back again with my questions. Slovenia looks gorgeous! I love how everything on the list is very “nature-y”. I want to go just to take in all those views! My bucket list is never ending! Slovenia looks amazing and I am planning to go this month. Do you know if March is a good time to go to Slovenia? The weather looks good. I love your blig:) i”m from sourh africa and our family is dreaming of a trip to slovenia,croatia and hungary next year. I’ll definitely keep following your delightful travel accounts. Thanks for stopping by Maurietta!